What is generally called the "Third Secret" is, in actuality, the third and final part of the full prophetic Secret which the Blessed Virgin gave to three child seers on July 13, 1917. The other two sections of the Secret (the vision of hell and the rise of Communist Russia) were publicly revealed with the publication of Sister Lucy’s Memoirs in the 1940s, the final part of the revelation remains in the possession of the Vatican and has not yet been disclosed to the world. Upon learning that her bishop was unwilling to open the envelope containing the Secret, Sister Lucy "made him promise," in the words of Canon Galamba, "that the Third Secret would be opened and read to the world upon her death or in 1960, whichever would happen first." If her bishop died first, it was agreed that the Secret would be confided to the Cardinal Patriarch of Lisbon. Despite this agreement, the Secret was, in fact, delivered to the Vatican where it has remained undisclosed to the public for over fifty years. "Dangers threatening the faith and life of a Christian ... and therefore the world." In an interview conducted in November 1984, Cardinal Ratzinger (of the Holy Office) confirmed that, with the Pope’s permission, he had read the Secret and that it concerns, in his words, "a radical call to conversion, the absolute gravity of history, the dangers threatening the Faith and the life of a Christian, and therefore the world. And also the importance of the last times." The Cardinal went on to explain that "if it is not published ... it is to avoid confusing religious prophecy with sensationalism. 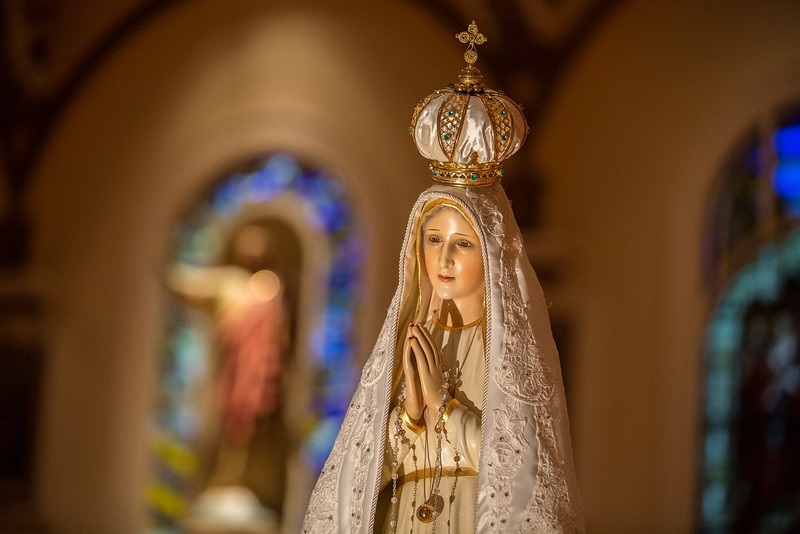 But the things contained in the Third Secret correspond to what has been announced in Scripture and are confirmed by many other Marian apparitions." "Having reached the end of our inquiry, we are able to discern, with near certainty, the essential elements of Our Lady’s final secret: While ‘in Portugal, the dogma of the Faith will always be preserved,’ in many nations, perhaps in almost the entire world, the Faith will be lost. The pastors of the Church will fail gravely in the duties of their office. Through their fault, consecrated souls and the Faithful in great number will let themselves be seduced by pernicious errors spread everywhere. This will be the time of the decisive battle between the Blessed Virgin and the devil. A wave of diabolical disorientation will be hurled over the world. Satan will introduce himself even to the highest summit of the Church. He will blind the minds and harden the hearts of pastors. And God will deliver them to themselves as a chastisement for their refusal to obey the requests of the Immaculate Heart of Mary. This will be the great apostasy predicted for the ‘last times’; ‘the False Lamb’ and ‘False Prophet’ will betray the Church to the profit of ‘the Beast,’ according to the prophecy of the Apocalypse."